Pump up with a new home gym. Gym memberships keep going up in price, and you do not get a lot for the money these days. With crowded gyms, breaking equipment and working around their hours of service, sometimes what you end up doing is paying for something you don’t use. So, why not put that money where you will use it? 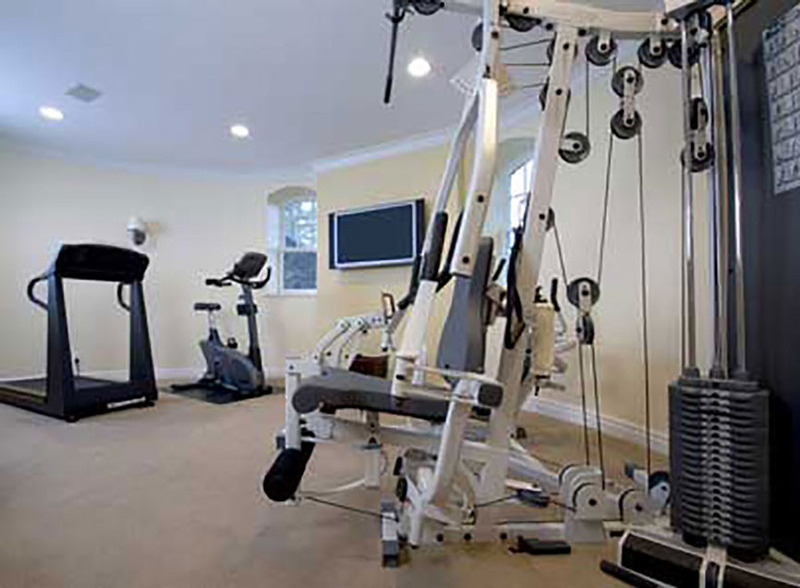 A Home Gym will not only make your home value increase but will help keep you and your entire family in shape while you stay within the comforts of your home. No traffic, no crowded showers and shower shoes, just a great space and a great work out. So how do you get started creating a perfect Home Gym? We have compiled some great ideas and tips for making your extra space into a time saving, money saving, health improvement area. Determining how much space you’re going to need is key to creating the best possible work out space. What type of equipment do you plan to have: a treadmill, work-out bench, dance bar? Each area you plan to use requires a different amount of space. Your High Quality Contracting Inc agent can help you plan this out. We are experts in using lost space and putting a room’s square footage to the best use. Remember, working out bodies sweat. Your home gym needs proper ventilation. 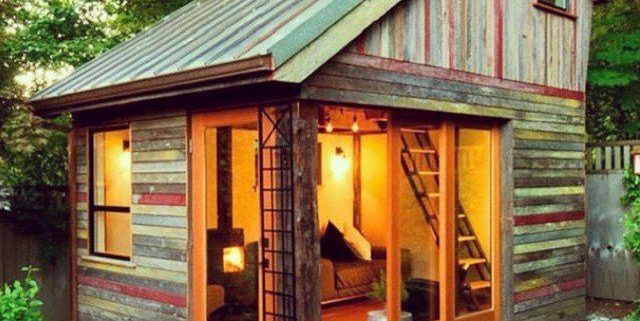 If you are using an upstairs space, windows are an option. If you are using a basement area, consider some ceiling fans. Rubber flooring seems to be the range for home gyms, but that leaves the gym area a little less than appealing. Consider carpeting laid over rubber flooring. Another consideration, if this is a dance/yoga area, installing a heated flooring system will make it warm and cozy. Building energy for a workout requires good lighting. Take advantage of natural light if possible with large beautiful windows or skylights. If this is not possible, be sure to install bright, cool white overhead lighting. There are many great products on the market in a variety of designs. Wall colors matter. Consider either painting the walls with bright or even fluorescent paint colors or with bright natural tones. Avoid using dark greys, blacks and deep blues on the walls. The dark colors will reduce your energy levels and make it more difficult to get yourself going during a workout. Don’t leave the walls empty with no décor. Putting up motivational posters, photos, and framed pieces can help to keep you inspired. Add large beautiful mirrors to the walls. Put some live, large, indoor plants in the corners to help with the air and the atmosphere. All-of-these things help make the space welcoming and motivational. Don’t forget to install either a water dispenser or cooler to the area to stay hydrated. Choosing your equipment can be daunting. But, we have tips for that as well. First, consider your space. Do you have enough room for that treadmill or that weight bench? Second, what are your fitness goals? Do you want to build muscle, lose weight, build stamina or tone your body? Different types of equipment can help you achieve different goals. Finally, the budget. Review your budget and look for seasonal sales that are heading your way. Don’t forget the small stuff like Yoga mats, free weights, or exercise bands. Although a sound system is not required for a good work out, it can sure help with motivation and focus. Decide if you would like a surround sound system installed with good speakers, or if a simple radio will do. Why not opt for the big system and enjoy the music? If you have the system installed, be sure that the installer hides the wires where possible. We hope these tips help you to create the Home Gym of your dreams. Don’t wait until January to get going! You can get a free estimate by contacting your High Quality Contracting Agent today. Start the year with the gym already set and get yourself back into shape! Stop wasting cash and time at local gyms when you can have it all at home! Consider some awe-inspiring home addition and home gym ideas. Whether you are trying to get your home in shape for the upcoming year or get your body in shape for spring, High Quality Contracting Inc. of southeastern Wisconsin has the fabulous design concepts for you. Popular additions in 2018, include home theaters, game rooms, wet bars, in-law rooms, and home gyms. Entertain in whatever way you want with a variety of ideas and purposes for the extra space. Don’t forget to add storage for crafters, sporting equipment, or toys. Not just for the wealthy anymore, home theaters boast an array of options to meet every budget and create an excellent space for movie viewing. 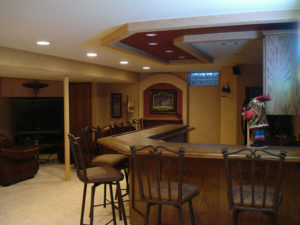 Consider taking out or adding walls which include soundproofing and installing surround sound system. Get the total experience. 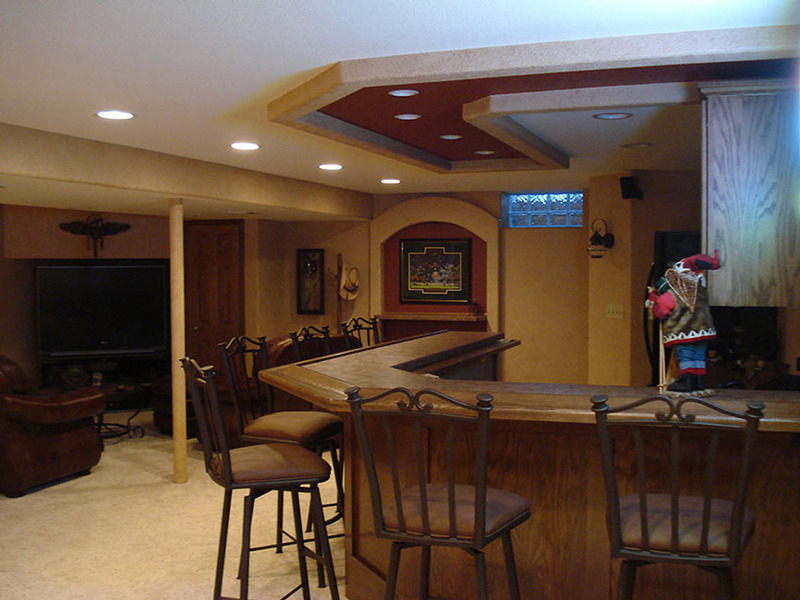 Embed the tv into a wall unit or use a projection screen television to fill the entire wall. Make the space warm and cozy with new flooring. Another great idea if the room is large enough is to consider adding platform flooring to the back of the room. This allows seating to rise giving each seat in the place ample viewing from all angles. • Vegas Baby! Flare it up like Vegas with card tables and an authentic Vegas craps table. 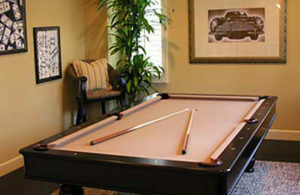 You can add comfort to the game room with overstuffed furniture, side tables and perhaps a wet bar. • LED adjustable backlighting behind a fully stocked bar shelving unit. • A surf bar with fun oceanside décor, surfboard table, and bright colors. • Add a glass-enclosed wine room that is visible from the seating area. • Mountain retreat bar with large neutral tiles and stones, exposed beams, and rustic style. • Unusual and exciting countertop options such as wood, quartz, marble, granite, tile, stone, or concrete. • Classy design with open shelving, marble tops, and bright, modern lighting. Out of town guests will love spending time in a cozy in-law suite which can be a welcome addition to any home. Bringing the whole family together is a great way to enrich your lives. The in-law room might be just the answer to keep grandma or grandpa near the kids and still give them their space. Think of all the fun you can have together. In-law rooms can be made with a private bath added, ample storage and beautiful window views. 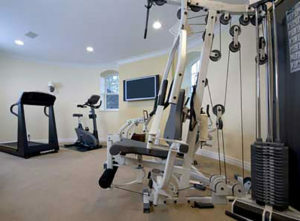 Home gyms are becoming ever more popular for the active family. Getting your work out in during gym hours when you are working, running errands, and juggling a family can be difficult. The solution is an addition with a beautifully functional home gym. There are so many great options for your 2018 home addition that they hardly fit into one article. If you are interested in getting some ideas for your space, please contact us.